As Bitcoin tries to make its way out of the longest bear market in its history, let’s take a look at 5 factors that point to a bright future for the world’s oldest and largest cryptocurrency. In the last Bitcoin bull market, there was an absence of cryptocurrency trading and storage services that meets the rigorous standards of institutional investors. Now, trusted names from the financial industry are building cryptocurrency infrastructure to serve even the most demanding investors. Financial services giant Fidelity has launched Fidelity Digital Assets, a subsidiary that provides cryptocurrency trade execution and storage services. Recently, Fidelity Digital Assets lead Tom Jessop revealed that the service is already operational. There is of course also Bakkt, a company that will provide physically-settled daily Bitcoin futures contract. Bakkt is backed by Intercontinental Exchange, the operator of the world’s largest stock exchange (NYSE). In addition, the project has support from the likes of Microsoft, Boston Consulting Group and Starbucks. Another example is ErisX, which will provide a regulated trading platform for BTC, ETH, LTC and BCH. Nasdaq and VanEck are also reportedly working on cryptocurrency futures trading. Bitcoin’s next block reward halving is expected to occur a little more than a year from now – bitcoinblockhalf.com estimates May 24, 2020 as the target date. 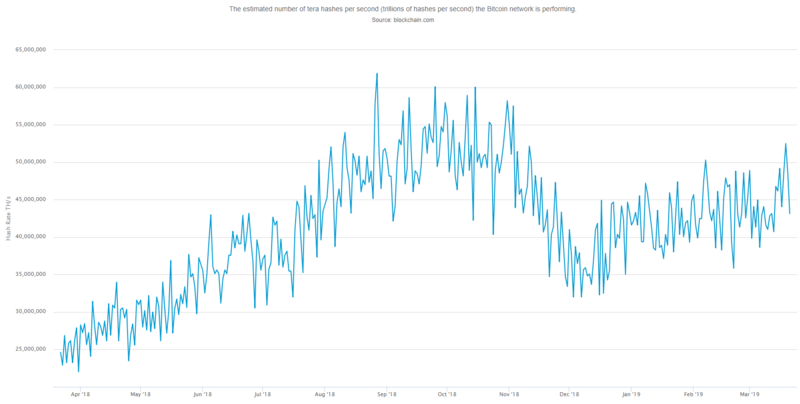 The halving will see the reward for mining a Bitcoin block drop from 12.5 BTC to 6.25 BTC. The reduction in supply of fresh BTC entering the market is likely to have a positive impact on the Bitcoin price. The 2018-2019 bear market is the longest in Bitcoin’s history, although it is possible that a bottom has already been reached on December 15, when BTC dropped all the way to $3,200. 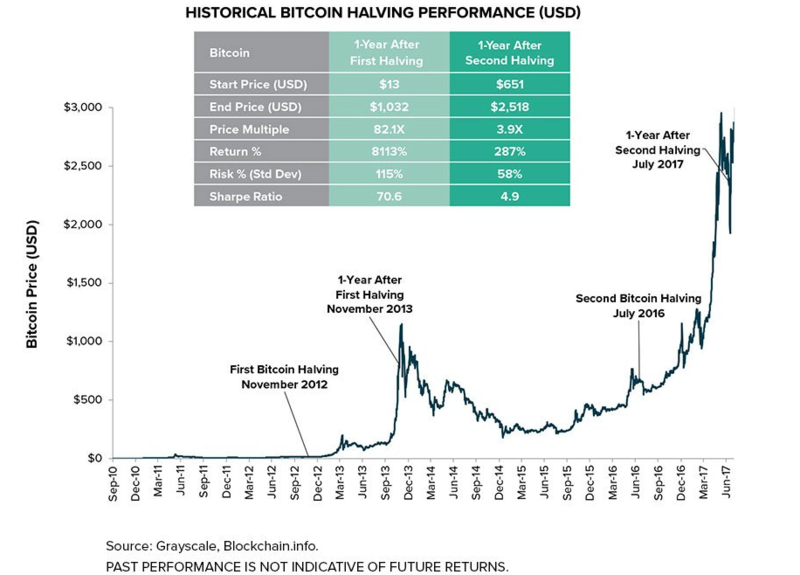 This could be an indicator that better times are on the horizon, as BTC has historically managed to recover from long negative stretches. Some technical analysts have pointed out the fact that BTC has bounced from the weekly 200 moving average twice as a technical sign that Bitcoin has found its price bottom for the 2018-2019 bear market. The Bitcoin network struggled mightily at the height of the 2017 bull run, with fees skyrocketing and transaction speeds lowering significantly. Even though the result would more or less be the same today if the network was under a similar amount of stress, the continuing progress of the Lightning Network technology is an encouraging sign that using Bitcoin will become faster and more efficient in the future. The Lightning Network is a layer 2 scaling solution, reducing the number of transactions that need to be stored on the Bitcoin blockchain and making BTC payments a viable option for microtransactions. After the November 2018 Bitcoin price crash, the BTC hashrate declined significantly, reversing the positive trend that had been in effect throughout the year. Even though the price of Bitcoin is still quite far from the +$6,000 levels that preceded the crash, the Bitcoin hashrate has been steadily climbing since mid-December.